Nickel is a very popular chemical element referred with the chemical notation “Ni”. 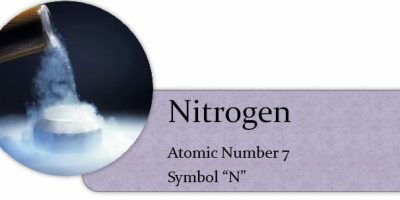 This element has an atomic number of 28. This transition metal has a slight golden reflection on a white silvery surface. Nickel is situated in Group 10 of current style Periodic table given by International Union of Pure and Applied Chemistry. Nickel is the member of the transition metals. Other members of the group are platinum (Pt) and palladium (Pd). These are located in the D-block transition metals of the periodic table. Nickel exhibits properties as being hard as well as ductile. Nickel does not exist as the pure native metal. Its occurrence is in the forms of different minerals such as the silicates, sulfides,and the arsenides. In the sulfides, we most popular minerals are pentlandite, the pyrrhotite, polydymite the millerite, garnierite, millerite and the siegenite. These are found in Australia, ex-USSR, Canada, Cuba, Indonesia and U.S.A. As far as the world supplier of nickel material is concerned, Canada’s Sudbury region of Ontario stands out since it provides around thirty percent of the global market of nickel. The earth’s core is believed to have a great concentration of minerals of nickel and other various elements. Nickel is silvery-white. hard, malleable, and ductile metal. It is of the iron group and it takes on a high polish. It is a fairly good conductor of heat and electricity. In its familiar compounds, nickel is bivalent, although it assumes other valences. It also forms a number of complex compounds. Most nickel compounds are blue or green. Nickel dissolves slowly in dilute acids but, like iron, becomes passive when treated with nitric acid. Finely divided nickel adsorbs hydrogen. Nickel had always been a very important element for various industries because of the fact that it is an extremely adaptable material that has the capability to alloy with many different metals. Nickel alloys withstand high temperature and high pressures, making nickel alloys the best option for high-performance uses for example blades of the jet engine. These alloys resist corrosion. That is why nickel alloy “Monel” is utilized in deep seal mining applications, where sea water raises a persistent danger of corrosion. Nickel alloys also come as non-ferrous metals with elevated toughness and strength, robust resistance to corrosion, and withstanding extremely high-temperature. Since pure nickel is a brilliant shining silver-white element of the transition metals group and is hard, ductile and malleable. Nickel is also very tough and has very good corrosion resistance. Therefore Nickel also offers a superb foundation for making advanced alloys for the same reason. Air does not chemically react with nickel under atmospheric conditions. Precisely particulated nickel metal chemically acts with air. Under reaction, form is mostly pyrophoric. Water does not react with nickel metal under normal conditions. Fluorine gas, symbolically F2, does not react with nickel in full capacity but reacts very slowly. This chemical property of nickel, makes its alloys a vital metal for making the containers of fluorine. The high concentrated and oxidized nitric acid, symbolically as HNO3, chemically reacts on the outer periphery of iron symbolically as Fe and passivates and protects the surface. Thus it is used for passivation as well. Copper-nickel alloys are also used for specialized tubing widely utilized in the manufacturing of desalination plants for transforming sea water into fresh water. Nickel is utilized as an alloying element in austenitic stainless steels, cast irons, and non-ferrous alloys. It is also used in nickel-based alloys, which are applied to more challenging applications. 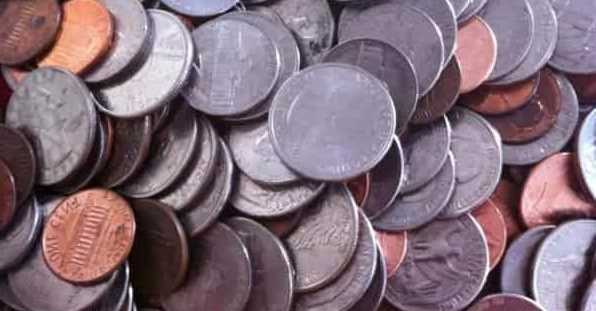 Some of the everyday life examples of nickel are coins, taps and shower heads of the bathroom.